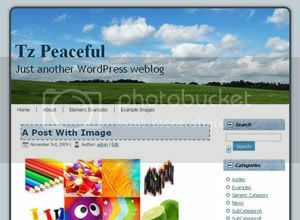 Peaceful is a real peaceful theme with 2 columns, fixed width and widgetized right sidebar. Forum time zone is GMT. Currently it's 12:12 AM.